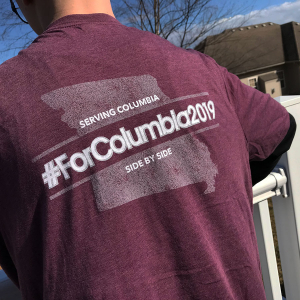 Serving Time: 9:00 a.m to 1:00 p.m.
One of the ways ForColumbia strives to love and serve our neighbors is by serving those non-profit organizations who are actively working every day in the lives of people in Columbia. Love INC is making a big impact in Columbia to transform lives and community. Love INC works with people in need from the ground up, showing them the way out of poverty. Love INC fosters relationships by raising community awareness of the value of caring for the disadvantaged, providing resources for churches to effectively and compassionately respond to people in need, providing specific opportunities for people to live out their faith, and connecting like-minded people to create strategies to resolve the complex issues related to poverty. ForColumbia volunteers will be working outside at Love INC doing landscaping work. Yes, we encourage families to bring older children who can assist in this project.